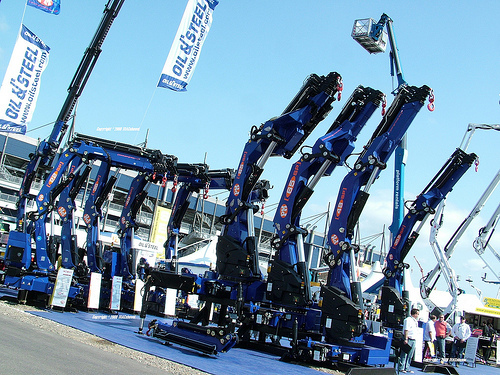 Knuckleboom Crane - Knuckle Boom Cranes - Knuckleboom Cranes - Knuckle Boom Crane - The Worlds Largest Knuckle Boom Crane Dealer. 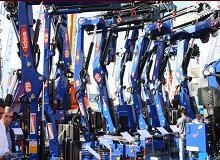 Knuckleboom Crane, Knuckle Boom Cranes, Knuckleboom Cranes, Knuckle Boom Crane - The Worlds Largest Knuckle Boom Crane Dealer. Knuckleboom.com The largest knuckleboom crane dealer in the world. Knuckleboom cranes and trucks custom built for any type of job. 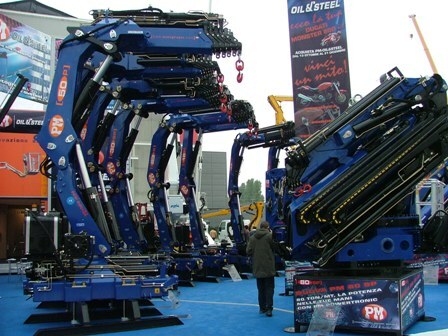 We are the largest knuckleboom crane sales dealer in the world and continue to provide outstanding service and repair for all makes and models of knuckle boom cranes as well as all other types of cranes and equipment. 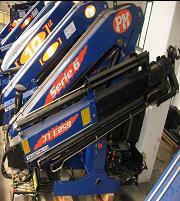 Sales, Service, Parts and Repairs for all makes and models in our state of the art facility. Knuckleboom cranes have the ability to easily load and unload materials in just about any possible situation. Knuckle-boom cranes can be configured to do just about any job imaginable, from delivering products to cleaning up debris after the job is done. From delivering drywall and transformers the cleaning up after a storm. The knuckleboom crane can do it all. Knuckleboom Truck Mounted Cranes, Barge Cranes, Ship Cranes, Marine Cranes, Staationary Cranes and Knuckleboom Cranes for any other application. Knuckle-boom articulating cranes we offer range in capacity from: 2 ton, 3 ton, 3.5 ton, 4 ton, 5 ton, 6 ton, 8 ton, 9 ton, 9.5 ton, 10 ton, 10.5 ton, 12 ton, 12.5 ton, 13 ton, 13.5 ton, 14 ton, 15 ton, 16 ton, 17 ton, 18 ton, 19 ton, 20 ton, 20.5 ton, 22 ton, 23 ton, 24 ton, 25 ton, 26 ton, 27 ton, 30 ton, 32 ton, 35 ton, 35.5 ton, 40 ton, 41 ton, 43 ton, 44 ton, 45 ton, 47 ton, 48 ton, 50 ton, 65 ton and 85 ton units. 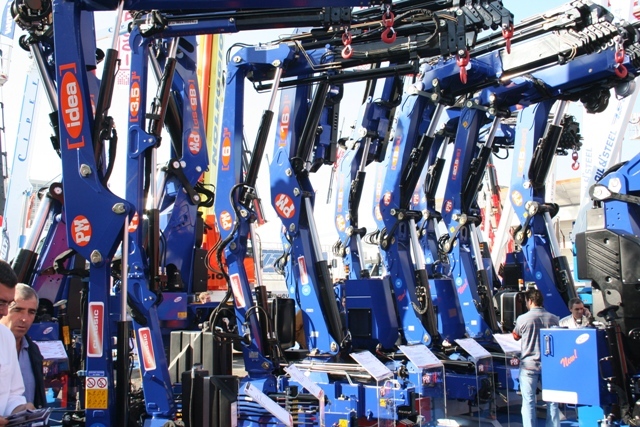 Knuckleboom Cranes, Knuckle Boom Crane, Knuckle boom Crane, Knuckleboom Articulating Crane, Knuckleboom Crane, Knuckle boom Cranes, Knuckle Boom Crane, Knuckle Boom Cranes, Knuckle Boom Articulating Crane, Knuckle Boom Articulating Cranes, Dealer, Service Center, Parts, Repair, Sales. Let Us Quote Your Next Knuckle Boom Crane Purchase. 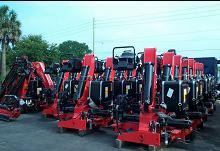 From A Single Knuckleboom To A Fleet Of Knuckle Boom Trucks Sales, Installation, Parts and Service. 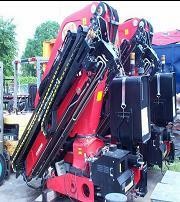 We Are Your One Stop Knuckleboom Crane Shop! KnuckleBoom Crane Sales, Service, Repair and Parts. We offer many different Knuckle Boom cranes from: PM, Cormach, Palfinger, Prentice, Hiab, IMT, Atlas, Amco Veba, Heila, Jabco, Fassi and Manitowoc just to name a few. Whatever type of Knuckle Boom crane you need, for whatever job you have to do, we can locate it, new or used, and deliver it anywhere in the World. As the Worlds largest Knuckleboom Crane & Truck Equipment builder, we pledge to continue providing the best possible customer service, support and repair facility available in the truck crane industry today. 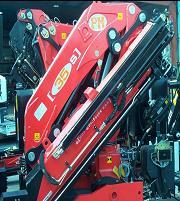 Welcome to the Worlds largest and most trusted Knuckle Boom crane dealer on the Internet today. We offer a broad range of Knuckleboom Cranes from all major manufacturers, custom built cranes and crane trucks, sales, service, parts and repair. 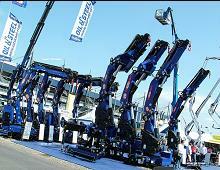 Great news for all knuckleboom crane owners and operators. Special thanks to Patrick Mossie, fleet manager for ProBuild the nation's largest supplier of building materials and Frank Moore, NLBMDA regulatory counsel who provided expert testimony at OSHA's hearings on the knuckleboom articulating crane regulation issue. With the extensive truck crane knowledge, leadership, and dedication shown by Mr. Pat Mossie, OSHA has finally seen the light regarding the regulation and use of knuckle boom articulating cranes in the US. Drywall and roofing suppliers equipped with the latest technologies can rejoice. We have made significant gains here for our industry as a whole and have Mr. Pat Mossie and ProBuild to thank for it. 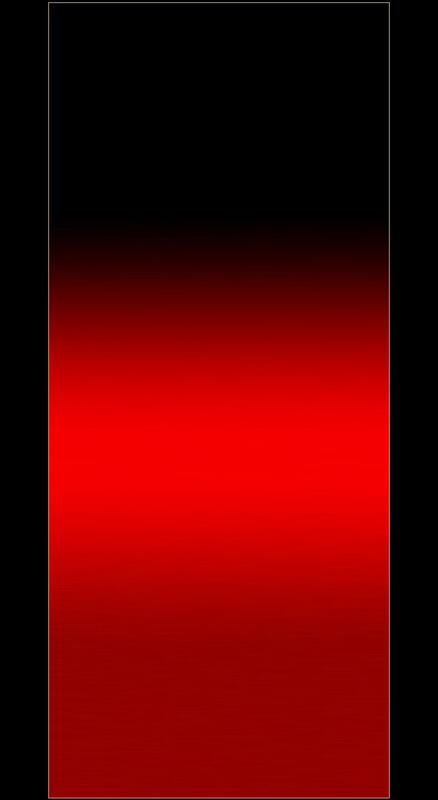 See the entire article and regulations on our news page.